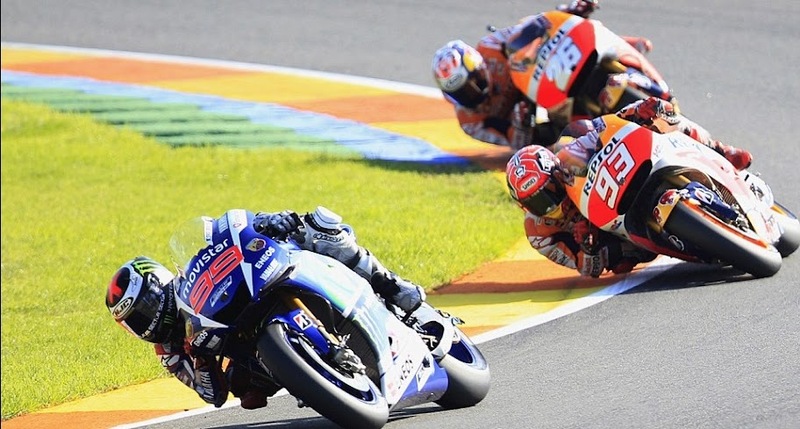 Last MotoGP grand prix of 2016 season will take place this weekend at the Comunitat Valenciana – Ricardo Tormo circuit in Valencia, Spain from Friday, 11 November 2016 to Sunday, 13th November. Marc Marquez who has already wrapped up his third world title will be hoping to end the season on high with a home win while Valentino Rossi and Jorge Lorenzo also in contention as we approach the last race of the season. 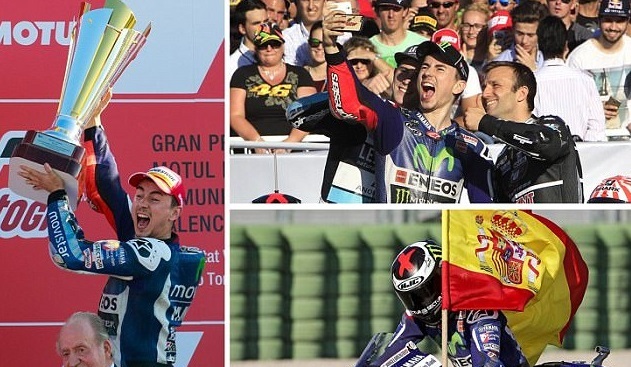 Valencia MotoGP 2016 Preview: Unlike the 2015 Grand prix in Valencia, this time the title race is already done and dusted and not much to play for as far as the top three positions are concerned but still all the top drivers will be hoping to end the season on high after what was a roller coaster season where we had 9 different grand prix winners. The decision, whether Rossi will start normally with qualifying grid position or he will be given a penalty and start at the back of the grid, will be out before the sundays big race and although it can have major impact on his chances to win the title we can safely assume that the title race will go down to the last few laps. Apart from MotoGP title there is also Moto3 action where Danny Kent go into the last round with 24 points lead and all he needs to do is finishing 14th or above to claim the title. So this weekend’s motoGP action will be must watch for all motorcycle sport fans and we will cover the weekends live action with free streams of BT Sports 2 from Friday to sunday. 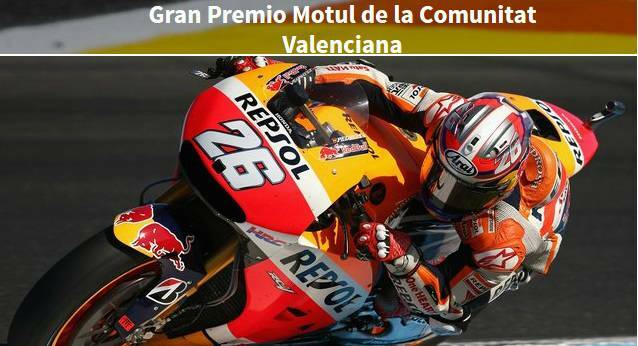 Plus downloadable links for entire Valencia MotoGP race will also be available after the race. Valentino Rossi penalty decision will be out on Friday and that will either ensure him a normal qualifying grid position or he will start at the back of the grid. 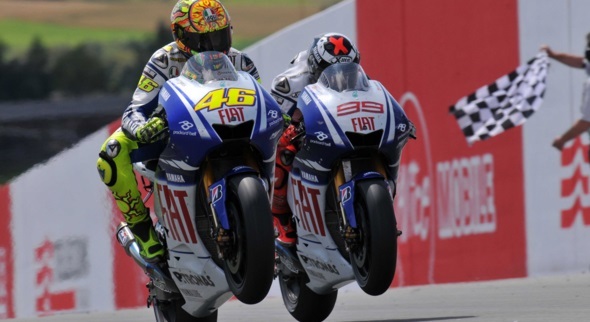 He has stated that he will love to fight Lorenzo at equal terms and it will be great for the sport and fans as well if the decision goes into Rossi’s way for the sake of pure entertainment this sunday afternoon. 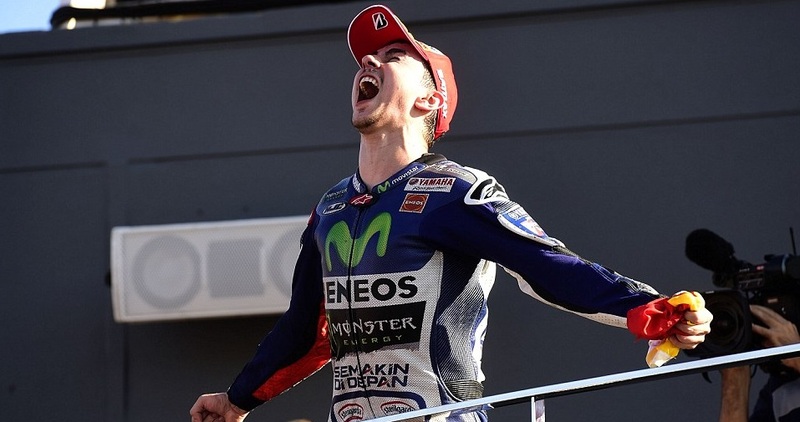 Jorge Lorenzo wins last Grand Prix of the season in Valencia and with that takes home 2015 MotoGP title. 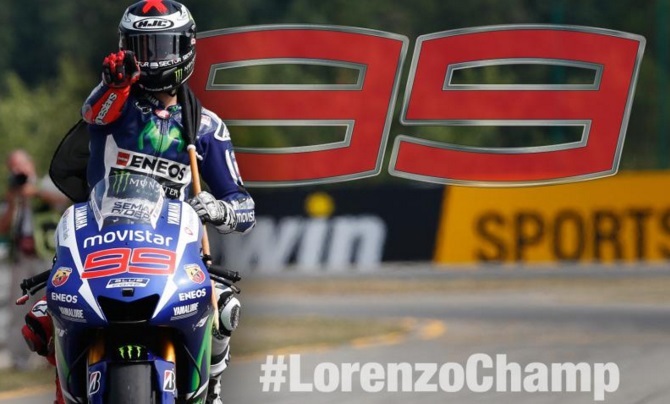 Lorenzo won 7 races this season and won his 5th motoGP title beating of the competition from Rossi who started at the back of the grid and finished fourth. 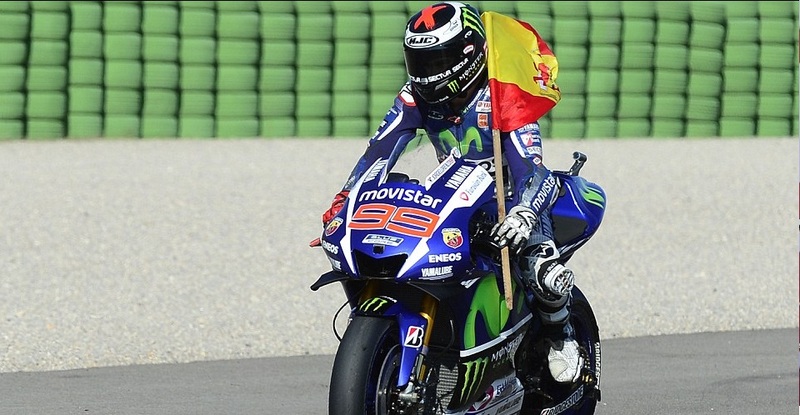 Lorenzo was always in control throughout this weekend, fastest in the qualifying started in the pole position and lead the race from flag to flag as he wins 2015 title with 5 points margin to Rossi. Honda riders Marc Marquez and Dani Pedrosa finished close second and third while Valentino Rossi earned a very respectable fourth place having started at the back of the grid. Honda rider Marc Marquez is being slatted for apparently not pushing to overtake Lorenzo when he had the chance, to top that off he looked like fighting for second place when clearly Pedrosa had more pace and gave it a real go in last three laps to overtake Marquez. 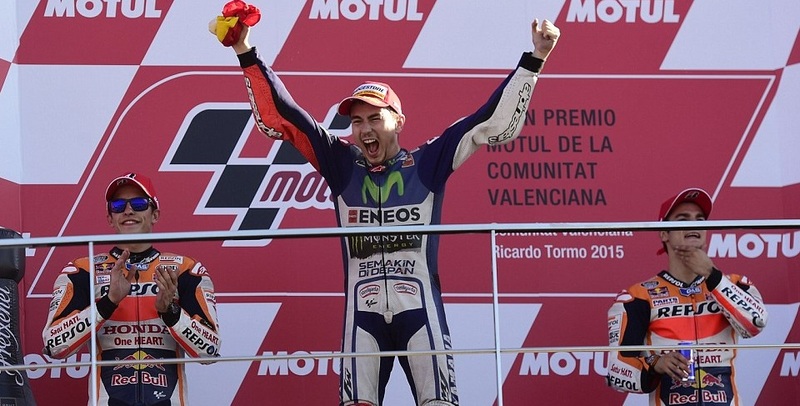 Valencia MotoGP Results: Lorenzo finished the race as winner in Valencia and Rossi could only manage a fourth place finish which means Jorge Lorenzo wins the title with 5 points. 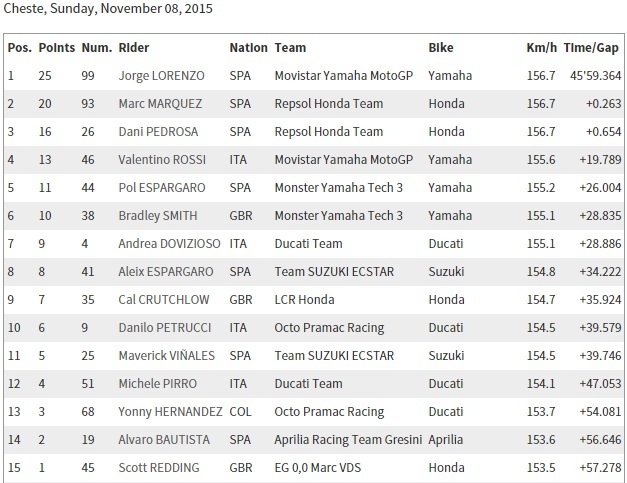 Here are the official results from 2015 Valencia MotoGP.